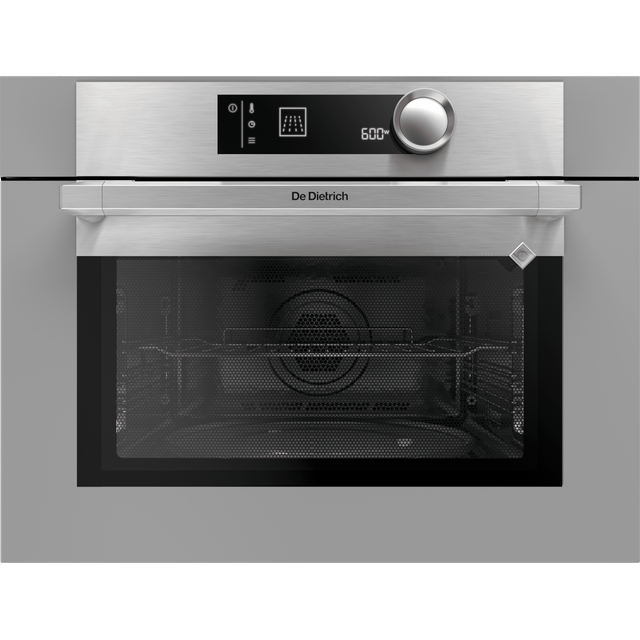 Add a sleek and stylish look to your kitchen with this built-in electric single oven from De Dietrich. 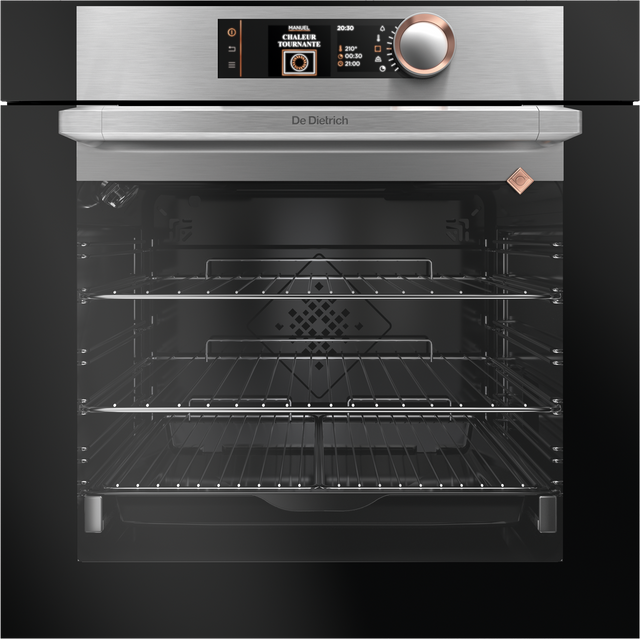 This multifunctional model has a range of cooking options to choose from, so you’ll be able to perfect every recipe – from incredible starters to indulgent desserts. With its 73 litre capacity, it’s a great choice for large, busy households, and you’ll always be able to check on your meal too, as the telescopic shelf runners glide out for easy viewing. It also has a brilliant pyrolytic self-cleaning function, which burns grease and food residue to ash inside, so all it needs is a simple wipe when you’re finished. This model has also been deigned to fit in an eye level unit or under a worktop. 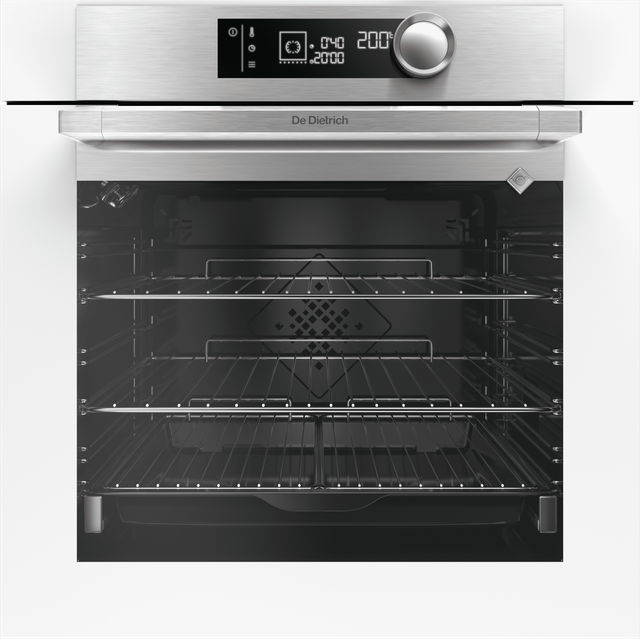 This model has three different pyrolytic settings that’ll automatically clean the oven for you. Choose Express Pyro for fast cleaning of a mildly dirty oven, Auto Pyro to help save energy or Turbo Pyro when you need a deeper clean. 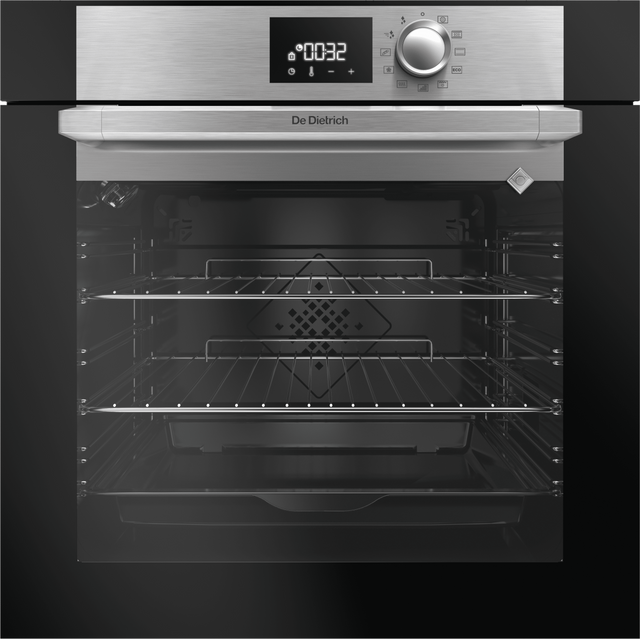 Each mode heats the oven cavity to around 500 degrees, burning any residue and grease splashes to ash which you can just wipe away with a damp cloth. So, you’ll never need to spend hours scrubbing again. This model is equipped with a soft closing door. 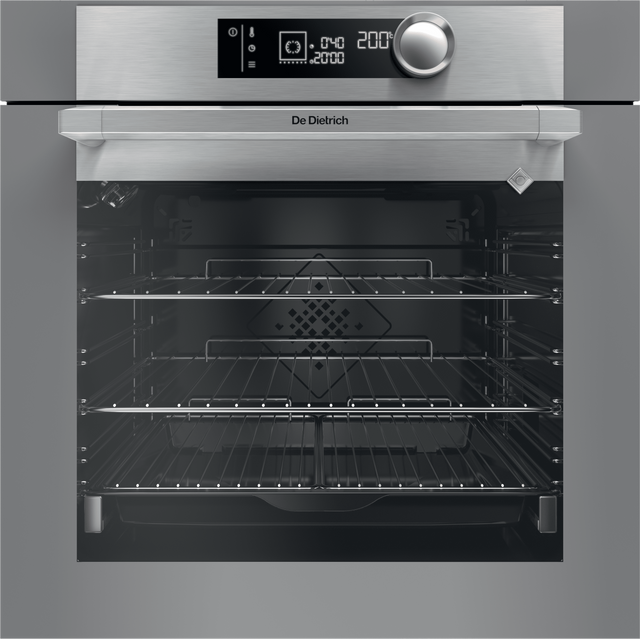 The special design means that even if you try to shut it quickly, it will gently close without causing any damage to the door or the oven itself. So even if you’re carrying a hot dish and accidentally try to slam it shut, you don’t need to worry about breaking it. This model has a Twist control knob combined with a digital LED screen. This clearly displays each of the available programmes in turn, while the dial lets you cycle through them quickly. So you’ll have no problem finding the function you need, and selecting it is super-easy too.